With Valentines Day just around the corner, I thought I’d put together a little last minute gift guide for the girl in your life. Or, this may help you with some ideas to send over to your partner. Either way, I’ve got you covered! Lets be honest, you can’t go wrong with perfume as a valentines gift. 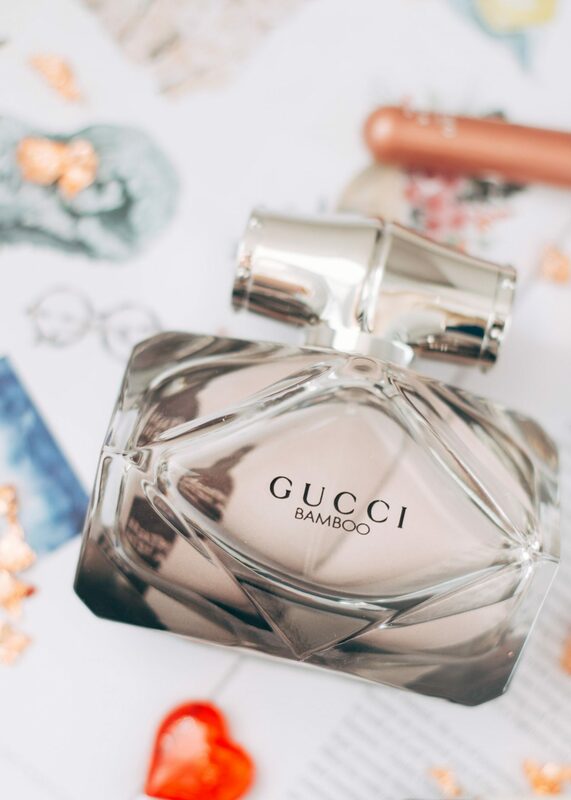 One I’m currently loving is Gucci Bamboo. This is such a treat as its on the pricier side of things, but its a very wearable scent, so definitely worth it. If you’re looking for something a little cheaper, The Body Shop have a fabulous range of fragrances to choose from. Another great gift for the lady in your life, is skin care. This little Antipodes Moisture Boost Duo is such a great option, as you get a day cream and a face oil. I should just add, that this face oil is the best product I’ve ever tried, its really helped my skin and kept spots at bay – definitely a winner in my books. For the makeup lover, you can’t go wrong with some Glossier products. I’d recommend the Lidstar’s, they’re great for a one wash colour. I personally really like the shade ‘Cub’. Pretty much everything I’ve tried from Glossier has been great, so I feel like its a very safe brand to buy from. Moving away from the beauty products, onto a simple yet really thoughtful idea (well in my opinion anyway haha). A magazine subscription. Whether you subscribe for a few months or a year, it means your other half gets something lovely to read each month. My personal favourites are Oh Comely and Frankie. 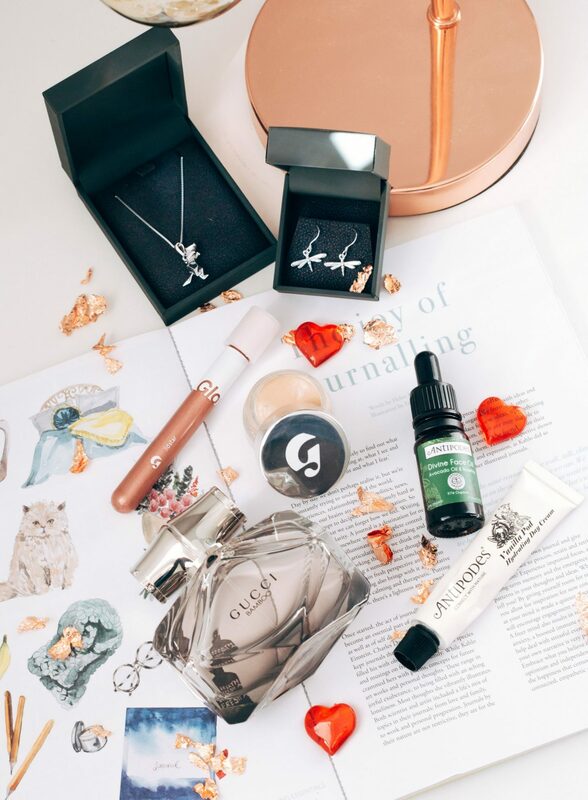 Now, this wouldn’t be a Valentines day gift guide if I didn’t include some jewellery right? Well, John Greed have some gorgeous, unique pieces for you to give this Valentines day. The first thing I picked out, was this super adorable Dinosaur Rhodium Plated Silver Necklace*. Its so different to anything else I’ve ever seen, which is what makes it such a unique gift. I mean, I love dino’s and would be more than happy to receive this on Valentines day. However, I will be gifting this to one of my friends as a lil treat, because who says Valentines day has to be just for couples? 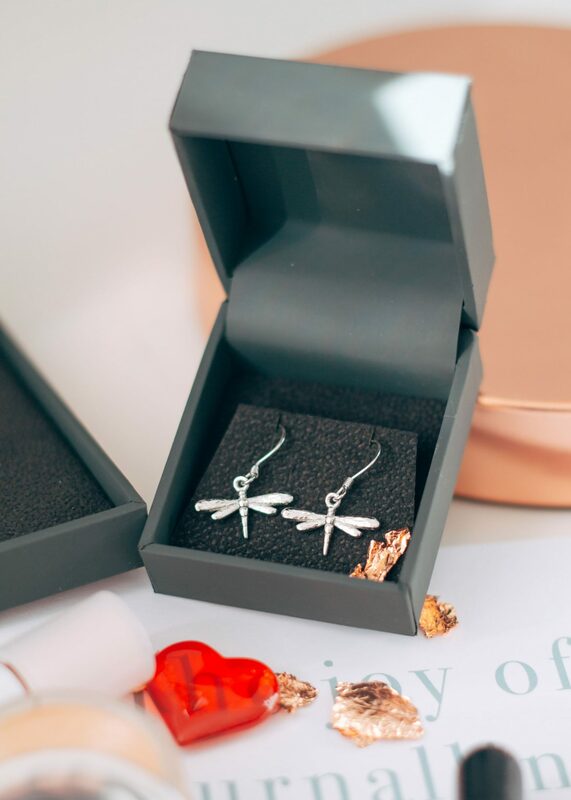 The second piece I chose, are these Meadow Silver Dragonfly Drop Earrings*. Such a dainty pair of earrings that are perfect for everyday wear. I will be gifting these to my Mum, because she definitely deserves a little something this Valentines day too. Have you got your Valentines day gifts sorted?